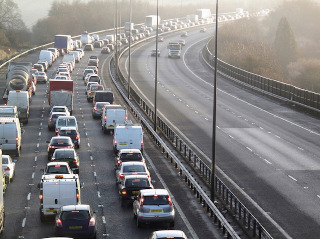 Motorways including M1, M4, M5, M25 & M50, are all set to bear the brunt of the getaway as drivers attempt to beat the Saturday morning holiday traffic queues. In total 14.4million vehicles are estimated to take to the country's main roads across the weekend. The FTA provides up-to-date traffic information via its app, and regularly updates its members of expected issues that will affect their drives.